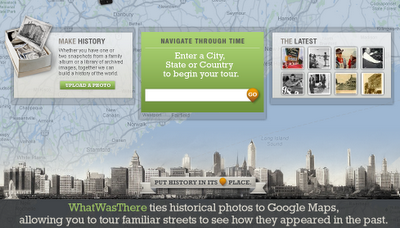 Educational Technology Guy: WhatWasThere - historical photos linked to Google Maps - visit the past! 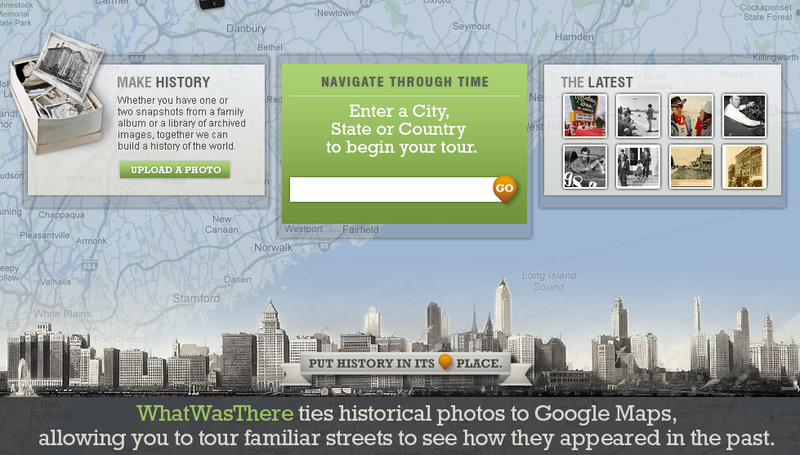 WhatWasThere - historical photos linked to Google Maps - visit the past! WhatWasThere is an excellent resource for geography, history, and fun. It connects historical photos to Google Maps, letting you see what places looked like in the past. You can tour locations, browse photos and even upload your own historical photos. This is a great way to explore the world historically, or just take a look at what your hometown looked like in the past. Social Studies, History, and Geography classes could use this as learning activities or projects. 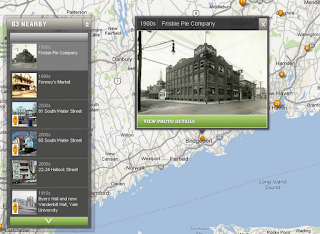 Here is a photo of the Frisbee Pie Company from the early 1900's. Their pie plate throwing contest led to the original Frisbee.